Rubbermaid Freshworks On Clearance at Kroger! 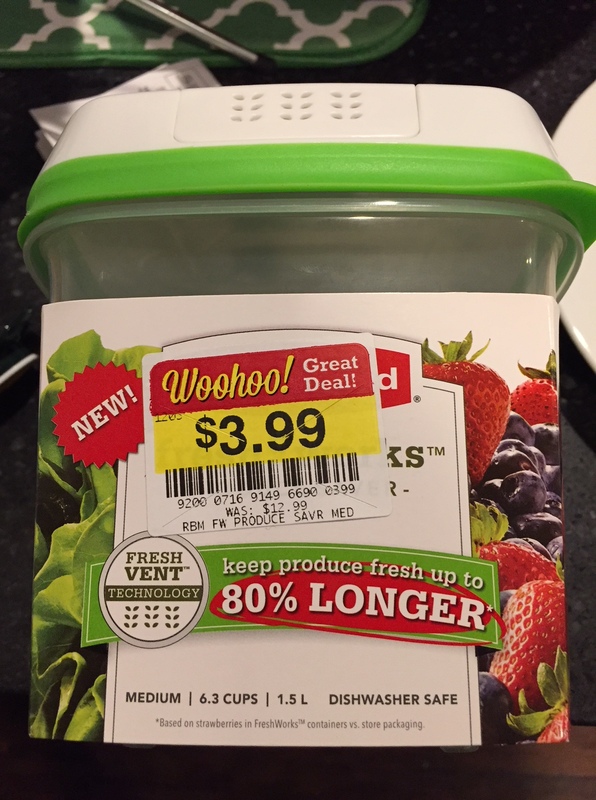 I stopped by my local QFC (Kroger) and saw that they had a ton of Rubbermaid Freshworks containers on clearance. The small container (2.5 cups) was $1.99 and medium (6.3 cups) was $3.99! I forgot to take a picture of the display, but here’s a pic of the container I purchased. It also had a $1 off fresh produce coupon on it! I’m not sure if other Kroger stores are doing the same thing…but it was a great find! Wow! I’m going to have to stop by my local kroger tomorrow! Man I miss shopping at Kroger. We don’t have them where we moved. But, Ibotta has a $2 rebate on this for any size container so that would make for an even sweeter deal!